Note: Offers on the asking price may be considered. 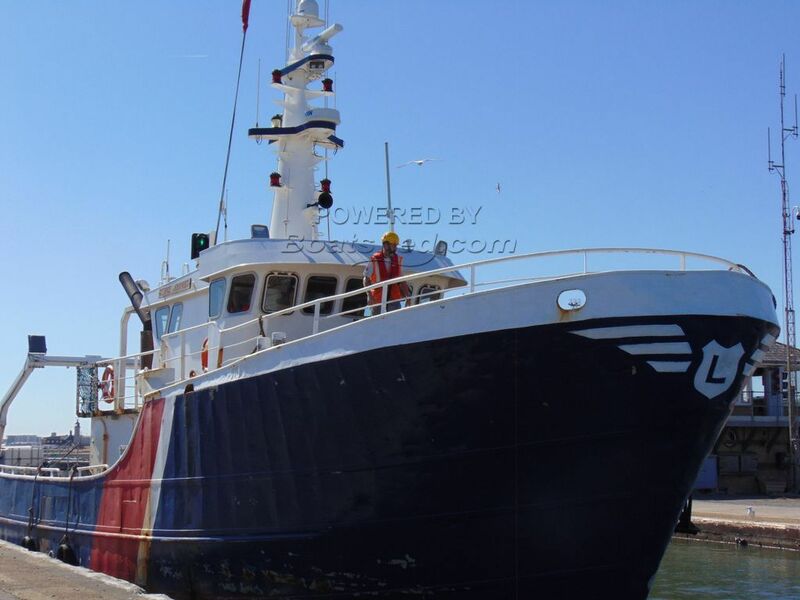 This vessel is fully committed, and has an extensive order book, contractually committed to a guard contract and her value without the Contract is as shown, with an assumption of the contract, her price is different and this price is available upon enquiry . She is obviously in full commission. There is no aspect of her preparedness, she is currently at sea and returns for a weekly resupply and fuelling. business and operate her without break. The current owners wish to retire and that is the only reason for this apparently great business opportunity., Any inspection is welcomed and business appraisal. This is an extremely rare opportunity to aquire a working vessel and contract and continue to operate her for the foreseeable. This Windfarm Service VESSEL 24 has been personally photographed and viewed by a representative of Commercial Boat Sales. Click here for contact details.